In WFF’s first ever event outside Europe, prominent names in football governance and the wider sports industry were able to see for themselves the scale of China’s football ambition, and although Chinese Football Association Vice President and General Secretary Zhang Jian – who gave a keynote address at the Forum – played down suggestions that China is yet in a position to win a FIFA World Cup™ on home soil, there is no doubt as to China’s drive to become a football superpower. In comments at the Forum, Mr. Zhang also spoke about the positive influences of foreign players in the Chinese Super League, however called for “a good balance between the local and the foreign players”. As ever, the scope of WFF 2017 covered the development of the sport not just in China but also in other regions of the ‘new geography of football’, with sessions focusing on India and a broad look at the state of the world’s favourite game in Russia, as that country prepares to open its doors to the football world in only a few weeks’ time for the FIFA Confederations Cup. The India focus session featured Vice President of the All-India Football Federation and Member of the AFC Finance Committee, Subrata Dutta, who gave a compelling vision for football in Asia as a whole in his keynote address on Day 1 of the event, before focusing on his own country in Day 2. With India hosting the FIFA U17 World Cup later in 2017, and on-going questions surrounding the merger between the I-League and the Indian Super League, there was much to discuss. The tone for the Russian element of the programme was set by Alexander Djordjadze, Deputy CEO of 2018 FIFA World Cup™ Russia Local Organising Committee, who headed a senior level panel of speakers from the Russian football establishment, including football legend Alexey Smertin and Vice President of the International Students Football Union, Sergei Kolushev. WFF’s Industry Insight sessions covered topics ranging from smart sponsorship to esports to football tourism. In a brand new 3-day format in 2017, WFF’s programme included a variety of fringe events and networking opportunities. The iSportconnect Director’s Club – now in its second year of collaboration with the World Football Forum, saw iSportconnect Chairman Michael Cunnah engage in an open and revealing conversation with Dr. Tony Xia, Aston Villa FC’s new owner. The WFF Dinner – including traditional Chinese musical entertainment – was a chance for delegates to unwind and meet. 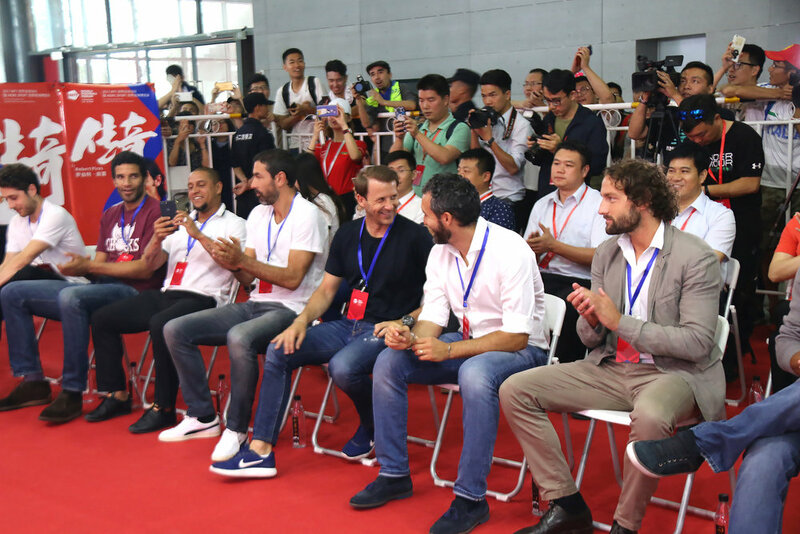 On Saturday 20 May, WFF moved out of the conference hall and onto the pitch with an international all-stars football match at Changsha’s He Long stadium.